While a mother is pregnant, she and her child are in the care of her physician. 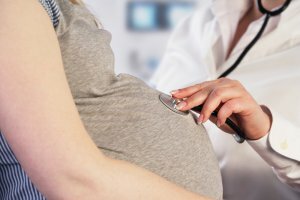 In regards to the pregnancy, the physician is responsible for making sure that both mother and child are safe at all times, and to report anything out of the ordinary. Many birth injuries are not necessarily evident at the time of birth, the child may have complications as childhood progresses. In many cases, birth injury occurs months to years after birth and typically goes undetected. A good percentage of women use anesthesia when giving birth, but what most women do not realize is that anesthesia is a top 10 contender of pregnancy-related birth injury. Anesthesia related injuries stem only from the physician. It is his or her responsibility to ensure that the mother is receiving the correct amount of anesthesia and that the baby will be safe at all times. While there are many different ways a birth injury can occur, while in the physicians care a few others may arise such as failure to treat conditions during pregnancy, an overuse of vacuum extraction, failure to order a Cesarean section and failure to change the position of the baby during birth. While some injuries heal on their own or with minor medical intervention, some can lead to lifelong conditions that families are left dealing with both financially and emotionally. Your family may be left dealing with a birth injury for the rest of your lives. Conditions that require medical intervention can be expensive. Those costs are compounded when a condition requires lifelong care and intervention. At Haug Law Group, we don’t believe that any family should be forced to suffer with financial difficulty due to a birth injury they had no control over. Our attorneys have been representing birth injury victims and their families for several years. We have the knowledge and experience necessary to assist you in achieving a positive outcome in your unique case. We have developed relationships within the local justice system and can use those relationships to your advantage. When you choose to hire a member of the Haug Law team, you will be treated with the compassion and respect that you deserve as we fight for the rights of you, your child and your family. The professionals at Haug Law Group in Atlanta encourage you to take a moment to contact us with any questions you may have regarding our birth injury litigation services. It is our goal to return your life back to normalcy with as little disruption as possible. We are pleased to be able to offer you a free, no-obligation case evaluation in order to advise you of your legal rights and options. Call us today or reach out to our team online at your convenience and take the first steps to recovering the compensation you are due.